This is perhaps a sop to the reinstatement of Jim Acosta, or is it simply because the WH thinks it should be able to bully the media on anything … or are the conservatives in the WHCA gaining more sway. It’s more likely that the White House is concerned that too much comedy is writing itself in this administration. From Chevy Chase to Wanda Sykes to Stephen Colbert, comedy has been a long-time tradition at the White House Correspondents Dinner. But on November 19, the White House Correspondents Association (WHCA) announced that there would be no comedian at the 2019 White House Correspondents Dinner. Instead, the Association will be featuring historian Ron Chernow—and comedians are not happy about it. If they think this will get Trump to attend, this could be even worse for him, since Trump’s recent rally-mania and lie fest prior to the midterm elections does resemble the last days of the Harding administration. Over the past 5 decades the focus for the mainframe has been on bigger, faster, cheaper processing power. This is no surprise considering the technology advancements that have occurred. The enormous water-cooled S/370s with only megabytes of real storage housed in raised floor environments and taking up a huge physical footprint have been replaced by very small, exponentially faster systems, supporting terabytes of real storage and a variety of applications. Our latest white paper, “50 Years of Mainframe Sorting Innovation from Syncsort,” takes a look at some of the advancements of the last 50 years. Traditional batch and online processing has grown into mobile and web-based multi-platform applications with transactions that still rely on critical mainframe services. The volume, variety, and velocity of how data is created, used, and managed within organizations has driven technology changes -however sorting remains a critical function in most data processing applications. Take a look at some of the innovations in Syncsort MFX® over the past 50 years, and how they have exploited technology advancements on the IBM z platforms and z/OS, to help mainframe organizations enhance, perform and reduce cost. Syncsort has released a white paper, “Assessing the Financial Impact of Downtime.” With the ever-increasing reliance of businesses upon their IT systems and electronically stored business data comes an equivalent increase in management’s duty to ensure due diligence and fiduciary responsibility with respects to protecting them against all causes of loss or damage. The potential costs of failing to do so can be enormous. Fiduciary responsibility. Due diligence. Such are the key watchwords for businesses everywhere. Indeed, these simple phrases are in fact the core concepts underlying regulations that cover stockholder rights, contracts for merger and acquisitions, and many other ares of business conduct. This white paper will address the assessment of threats to your IT operations, inclusive of systems, applications, and data, and will guide you through the process of developing solid numbers around the potential costs they represent. Data breaches should alarm every organization. Their costs are increasing, dramatically in some cases, and their negative impacts may extend well beyond the event. Customers are more likely to sever relationships—and prospective customers are less likely to form new relationships—after a serious data breach. Syncsort’s white paper, “Causes and Effects of Data Breaches,” explains exactly what data breaches are, what causes them, the costs your organization might incur as a result of them, and how you can prevent them. In addition to increasing costs, the frequency of data breaches is also rising. Our white paper focuses on three common types of data breach: human error, system glitch, criminal attack. Regardless of the type or size of a business, these factors can produce disastrous effects. However, by tightening security appropriately, organizations can greatly reduce the odds of becoming victims. Furthermore, they gain greater peace of mind, knowing that their most sensitive data is adequately protected. Download our white paper today to find out more! In this age of data breaches and cyber-threats, the best way to secure your environment is through layers. Fortunately, this multi-faceted solution doesn’t have to be complicated. Syncsort has released their “Layers of Data Security” white paper to show some potential layers that an organization may choose to protect when thinking about a security plan. To be effective and as close as possible to foolproof, data security must be layered. Some types of threats can be blocked only at certain layers, and omitting the relevant layers will result in there being no protection against those types of threats. See how the most critical IT systems shouldn’t have to rely on a single approach to security. The strategies and research here can help your company stay resilient by removing the most common security vulnerabilities. We asked contributors to give us real-life examples of pitfalls they have encountered when transitioning their clients to the Cloud. Better yet, we asked them for advice on how these problems can be avoided in the first place. 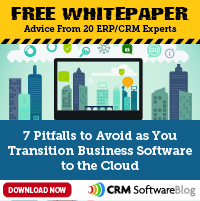 Learn from these examples and make your own transition to the Cloud hassle free. Thanks to all our members who helped to make this white paper a valuable resource. Syncsort has released a new white paper titled, “Leveraging the Potential and Power of Real-Time Data.” Business leaders recognize that their companies, industries, and markets are being disrupted by nimble digital players that are leveraging real-time information to respond to customers, predict trends, and manage operations. To compete in this new environment, they need to engage with customers, partners, and employees with speed and agility, to understand what is happening in their environments as they change, and to be able to employ cognitive technologies to predict and get ahead of trends. Emerging real-time data solutions, including those based on open source projects such as Apache Spark, Apache Kafka and commercial offerings, many of which are supported in the cloud, are enabling just about any organization to be transformed into a real-time enterprise. It’s important that organizations looking to establish and implement data governance stay lean and agile while taking advantage of a framework of best practices. Our latest White Paper, “Start Small, Gain Support, Collaborate, and Quantify – The Keys to Data Governance Success“, goes into depth on the key challenges that come along with implementation. By taking a different approach to data governance, it’s possible to move from looking at governance as a “data” issue that only IT should care about, to seeing it as a business issue that can enhance decision making and improve the performance of the entire organization. Download the white paper now to find out more. There has been explosive growth of large-scale business services that incorporate mobile and web-based applications. These services include transactions originating from tablets, PCs and smartphones and connect to back-end applications hosted on the mainframe. With such high visibility among customers, partners, executives and investors, there is even more pressure to avoid unacceptable response times and unreliable performance. Wouldn’t it be great if businesses could track transactions for critical systems across their infrastructure and see exactly what happens to these transactions as they cross the mainframe? Our latest white paper, “Tracing Transactions from Mobile to Mainframe,” lays out how organizations can get deep insight into web-based and mobile transactions’ impact on the mainframe, enabling them to monitor and improve IT operations and application performance.